Roland St. John Christmas Tree Ornament #3 | Dive Industry Association, Inc. 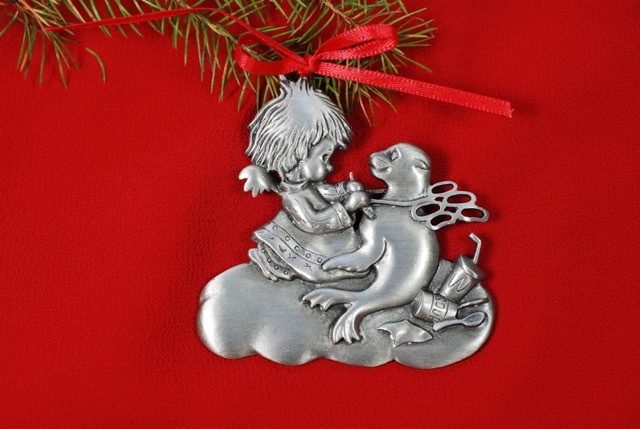 Artist Roland St. John’s 3rd Christmas Tree Ornament creation “Ocean Angel.” This Pewter tree ornament depicts a Sea Lion being freed from a six pack holder. Designed to bring attention to the hazardous plastics and debris ravaging our oceans worldwide. Cast in Lead-Free Pewter Approximately 3″ x 3″. Perfect Holiday Gift. Contact: Roland St. John, Big Blue Gifts.